Truly it was. It was unlike any other Paris trip and there have been many. I LOVE PARIS. At times, in an unhealthy way. 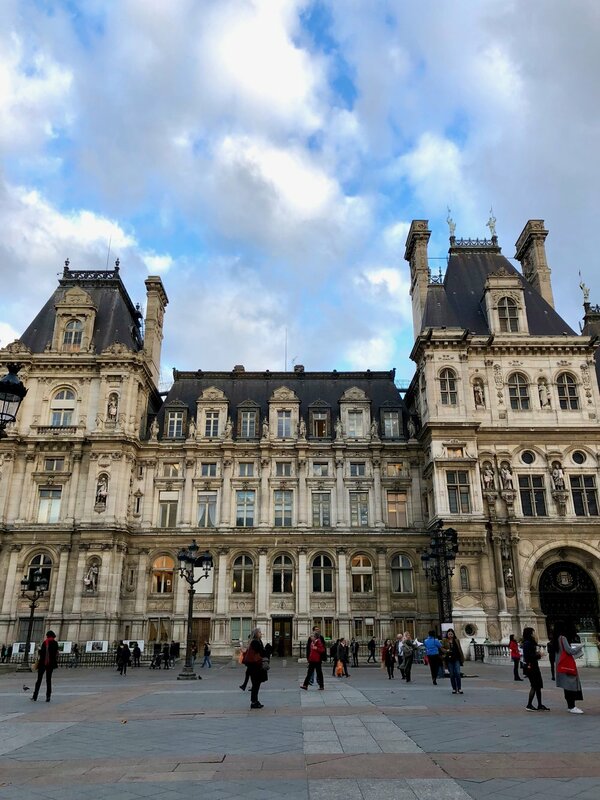 I can wander around admiring the streets, the people, the doors, the intricately detailed architecture, the grandiosity of the smallest things; literally everything fascinates me because everything is well, Parisienne. It just IS romantic. Even when experienced alone. You know what? I can’t even begin to tell you. So instead of diving into London, I will dive into Paris and try to articulate what I felt during my one and a half day stay. here you should find an excerpt, but guess what? why? because i was so distraught i couldn’t put words together to describe my state of mind + being. instead, here’s a photograph of my writing nook which I set up, cuddled into, and then fixated my eyes at the screen blankly as I tried to articulate the slow processing of what began to form into a knowing numbness i’ve worked so hard to forget and avoid. might apply them to my life. FEMALE. 20’s. She spoke of a relationship she was starting the last time we saw one another. Still fresh, I was looking for an update. She filled me in and then spoke of the work it takes to Show Up. Sparing details, again, this is something that I feel many forget to articulate when speaking about their relationships no matter which stage their in. Relationships take work! And THAT’S NORMAL. It takes hard conversations, honesty, vulnerability, intimacy (both physical and emotional), and being able to ride the waves of the ride. There is NO SMOOTH SAILING. So, please, speak truth when sharing. Don’t judge when listening. Refrain from gossip when speaking with others. Apply patience when dealing within your own worlds. And know that “perfect” does not exist (no matter how hard people try on instagram). MALE. 30’s. This is a friend I met at random two years ago over new years eve at a nightclub. To count, we’ve seen each other three times - including this time around - but I consider him a lifelong friend. Meaning, we’ll be friends until we reach 100. What do you mean, I said, my defense mechanisms immediately activating. I’m sure I can reach whatever space you’re thinking of..why wouldn’t I be? He looked at me as he collected his thoughts. Yes, I thought. I know this. Maybe you’re not wrong, I said. I suppose when I think back on the moments where I was forced to grow this past year one sticks out more than most. My road trip and being stuck with one person in the vicinity of four walls, whether that be a motel or the car, we couldn’t escape one another. We had to Show Up whether or not we wanted to. Yes, I thought. He’s on to something. But now what. I find teenagers to be the most fascinating in their thought processes and their flaring insecurities. I will not take my kids to the louvre. LEARNED // French Healthcare. Better than American. Apologies if you’ve just uttered an audible ‘duh’. Based on the conversations I had, it would seem that the French have it figured out, even for the freelancers ie; those who do not “qualify” for health benefits. When I began telling stories of my healthcare nightmare during my early days of recovery, their eyes widened. We have a long way to go. 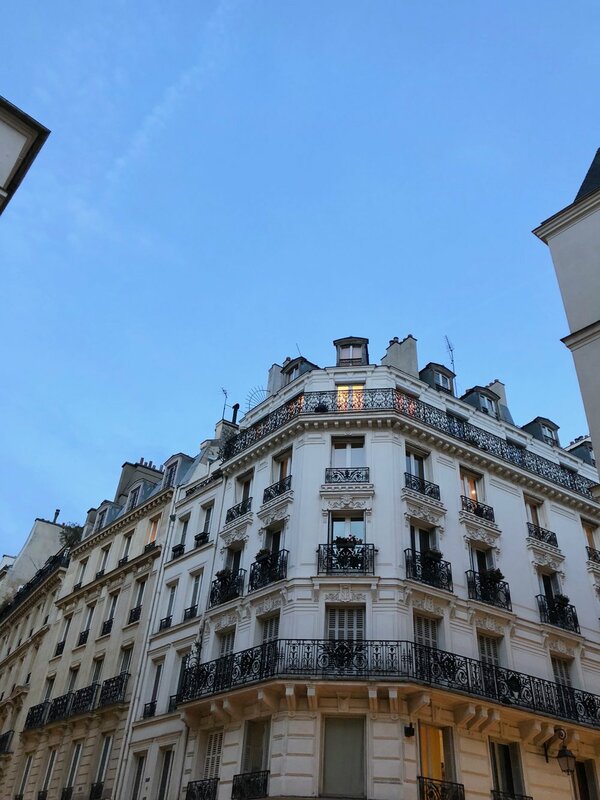 LEARNED // It is possible to rent an apartment for $995 in the Marais. This is a great neighborhood in Paris. Yes, this space is a studio. And yes, it is more expensive than what we might find in Middle America. But, if we’re to compare to prices of a New York, LA, San Francisco, Austin, etc. (cities contending to be on the worldly level of a Paris, then this price can be recognized as pennies. I, for one, couldn’t find a 1-bedroom under $2,300 in Manhattan (and most of Brooklyn) that didn’t include a roommate, six-flights of stairs, no windows (or a view into a building corridor) and everything else that should register the spot for at least $1100, at most $1800. I’m just saying, it’s easier to get a start in any city if the cost of living was more affordable. I don’t know how cities like NY, LA and SF expect young adults to thrive when they’re living check-to-check and swamped in debt. Rant over. CAME UP // My Insecurity in the things I do not do well, or I assume I do not do well … for example, my art. In walking through Picasso’s Room of Lithographs this especially jumped out at me. The simplicity in the black and white coloring, the use of light and empty spaces, and the faces. The faces especially; the eyes, the nose, the lips, all seemingly to look as if they’d never exist on a real human and yet his version of human is more human than you and I in real life. This thought came up in me that there is no “right and wrong”, there just is, and the more we follow what is within us (from a space of love, of course), the closer we get to our version of Truth. They are the same everywhere. In the most beautiful way, struggling with inner turmoil by covering it up with an outwardly personality that they’ll spend their 20’s re-writing. Some will expand on the remaining pieces of Vulnerability, channeling it into creative ventures. Others, will demolish any trace of that which made them seemingly ‘weak’ in order to succeed in the big leagues. Kindness will be forgotten and locked away. Butterflies will be pitted alongside with agony of awkwardness. It is the very age when we at once experience ALL emotions only to tighten the valve which produces them. It is bittersweet, and yet it is the same anywhere I go. Society squeezes out the very last bits of childhood out of us making us adult, making teenagers the most fascinating part of the human timeline. I was alone in Paris. Walking outside of the Centre Pompidou, I sat quietly by the Stravinsky Fountain around three in the afternoon. Teenagers everywhere. Boys running around the open space. Some pushing. Others chilling, outgrowing the physical realities of abundant energy. The girls were the same in the way I remembered them. Some were running around with the boys, others were flirting with the boys, and as always, there was a third group which sat whispering quietly far enough not to be heard, yet close enough to remain in the proximity of the group. We’re testing one another. Our boundaries. Our likes, dislikes, desires. We’re creating comfort zones. Rights and wrongs. And sitting uncomfortably with the feelings (both physical and emotional) which are conjured up from within is. It is a sort of energy I both envy and am happy to never return to. I sat for twenty minutes observing and then rose up to walk over to the group of girls whispering in the corner. Will someone take a picture of me? “I will!” all four of them shouted. Ah, I thought. Not yet teenager enough to recognize that the eagerness and agreeableness portrayed will be a quality they’ll soon learn to avoid. Sure, whoever wants to. One girl reached out and pointed for me to stand in the middle of the square. She pressed two times and signaled for me to take my phone. I took. I thanked. And I walked away thinking, I wonder which chapter of mine I would have played: the kind, agreeable teenager Alyonka, or the hurt, attitude-laden teenager Alyonka. I hoped it was the former. 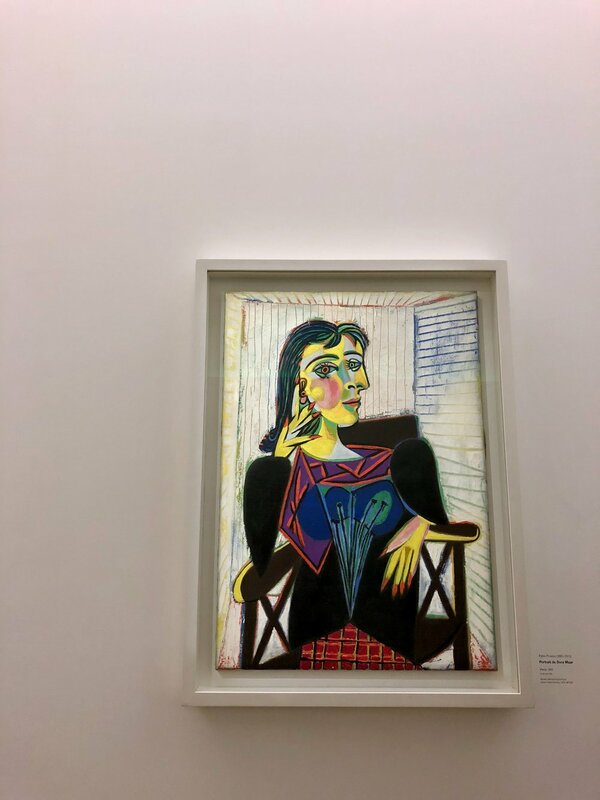 The Picasso Museum in Le Marais. Come early so you can walk through the glorious building on your own. 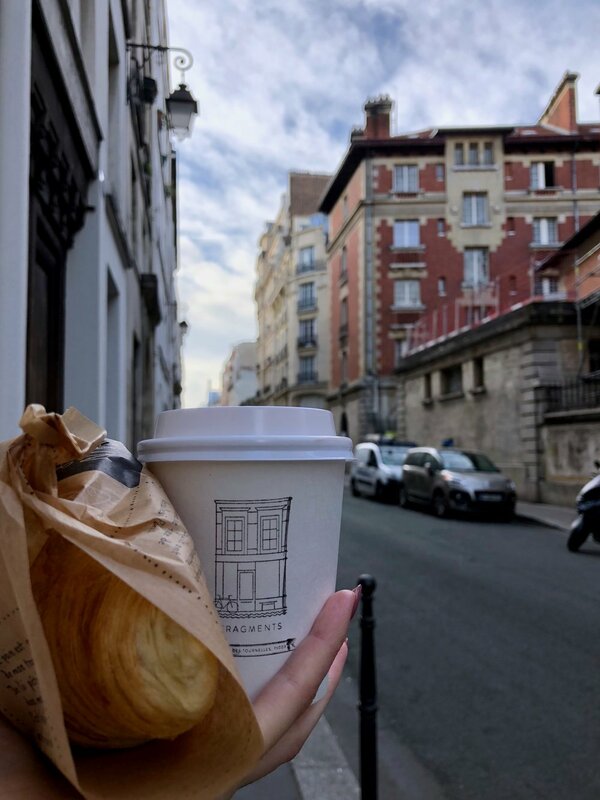 Venture up to the roof cafe for a cappuccino and a croissant and take-in the luscious Parisienne rooftops. The art — speaks for itself. I need not explain.